Bunkhouses provide practical, affordable accommodation for outdoor activity breaks in the wonderful Welsh countryside. They can cater for small or large groups, or for individual travellers. Bunkhouse accommodation on Stay Wales can offer high standards of comfort and are ideal for weekend or midweek breaks for individuals or groups. 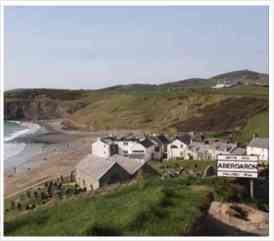 Is your fishing /climbing / golfing / diving / rambling club looking for somewhere to stay? Are you a school or university looking for a base in a rural location? You have come to the right place! 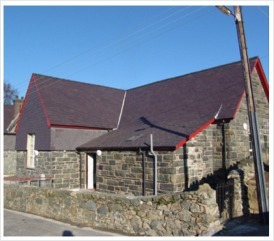 Newly refurbished bunkhouse situated in the centre of Llanberis. Bunk only - bring your own sleeping bag and pillow after a hard day climbing, cycling or hiking! All rooms with en-suite facilities.Shared rooms however please contact us to enquire about private rooms. We now have three bunkhouses, which can accommodate different size of groups, all are within the vicinity of our farmhouse and campsite which are approx ½ mile from Cwellyn Arms (10-15 minutes walk). They overlook Cwellyn Lake with spectacular uninterrupted views of Mt. Snowdon and Mynydd Mawr with various forestry walks on their doorstep’s. All bunkhouses are fully central heated with heat, smoke and carbon monoxide detectors and emergency lighting installed. Gas and electricity are included. Please bring your own sleeping bag. There is a strict no music policy on site. There is a large dining area / socialising room with dining tables, chairs, beanbags, tv, nintento wii and boardgames and a small basic kitchen consisting of a hob, microwave, George, kettle and toaster. 1 bedroom sleeping 8 (4 bunks) with wash basin. Male & Female separate wc/shower blocks. 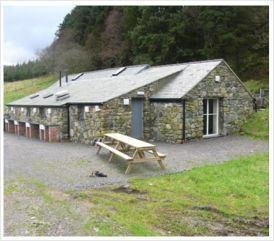 Ideally situated in the heart of Snowdonia, North Wales Caban Cysgu Gerlan bunkhouse offers comfortable, purpose-built accommodation at the foot of the Carneddau in the Welsh-speaking village of Gerlan. 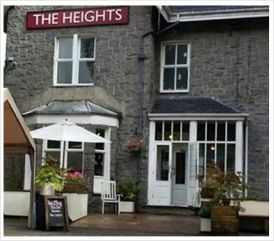 overlooking the Ogwen valley Being a community-run bunkhouse, a warm welcome is guaranteed. © 2018 Copyright Delwedd Ltd trading as stay-wales.com. All Rights Reserved.